Caring for a pet isn’t always easy. They need the right food for their breed, they need to be bathed, groomed and watched over occasionally if you’re gone from your house for too long. The Pampered Pooch and Pals of Ballston Spa, NY is here to make caring for your pet a lot easier. We have plenty of tools, products and services to make pet care much more convenient. Contact us at 518-363-0396 to learn more about our shop and services. Take the challenge out of bathing your dog by booking an Express Pet Bath. Give your pet a much-needed fur or nail trim. Find the products you need to feed and care for your pet. Enroll your dog in day care so they don’t have to spend their days alone. Dial 518-363-0396 now to schedule an appointment for grooming or bathing. 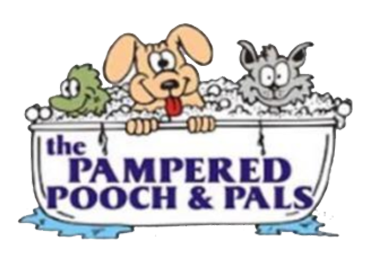 The Pampered Pooch and Pals is a family-owned and operated pet supply store, grooming shop and day care in Ballston Spa, NY. We have been in business for over 15 years, offering the products and services you need to care for your dog or cat properly. Count on The Pampered Pooch and Pals for excellent pet care services. Copyright © 2019 The Pampered Pooch and Pals, all rights reserved.